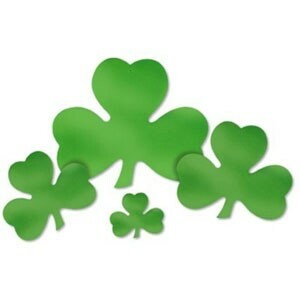 This nice shamrock napkin ring is a fun way to decorate your table on St. Patrick's Day. 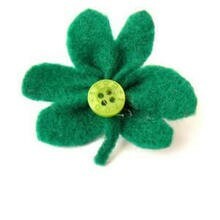 On green felt, draw a 9-inch-long version of the shamrock shape. Cut out the shape. Cut a slit near one ond, as shown on the template. Wrap the felt around a folder napkin. Insert one felt end through the slit in the other end to form the shamrock.